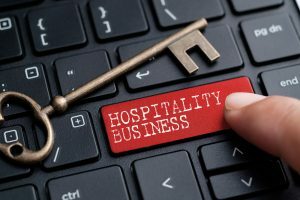 You are here: Home / Sustainable Hospitality Businesses – Tips from industry professionals. PATA prides ourselves on our role in developing future leaders of the tourism industry by empowering youth. We have our very own Young Tourism Professional (YTP) Ambassador, Ms. JC Wong who is responsible for the career development of youths comprising of students from PATA educational institution members. 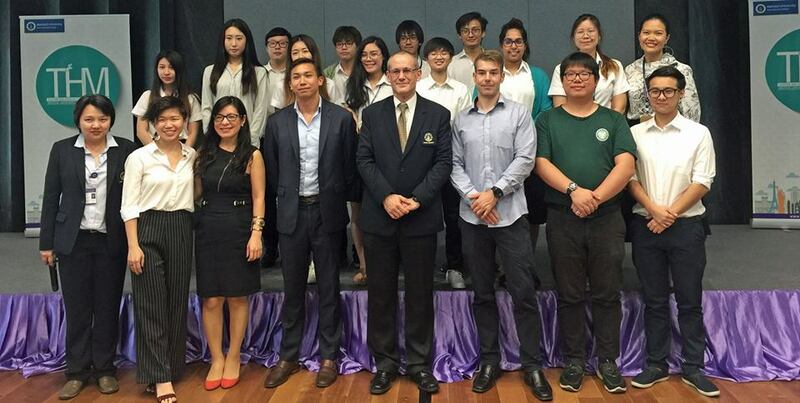 On November 22, Thursday, PATA collaborated with Mahidol University International College (MUIC) to address on the topic “Sustainable Hospitality Businesses.” Five guest speakers from Dusit Thani International, SO Sofitel Bangkok, YAANA Ventures Hospitality, Winnow Solutions and Scholars of Sustenance Foundation joined us to share their experience in the industry. 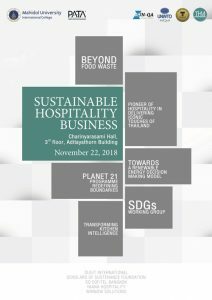 There has been an evolution in “green thought” in the hospitality businesses but there it is often a challenge to execute due to budget, resources and manpower constraints. 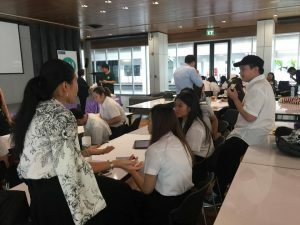 The objective of the workshop was therefore to get young tourism professionals (YTPs) exposed, connected and involved directly with industry professionals in the contexted of the massive environmental impact of daily hospitality operations. Through the workshop, we have compiled three key take-aways on how you can adapt the right attitude to drive change towards positive hospitality. Care with a “can-do” attitude. Showing that you care in the hospitality industry is how you can exceed customers’ expectations. This simply means going out of your way to exceed expectations by anticipating your customers’ next need. For example, try to engage with customers on a deeper level by simply remembering their names and asking for their preferences. Two teaspoons of creamer with a hint of cocoa powder for their morning coffee? Serve them the same the next morning and you’ll see their face light up as bright as the morning sun. Look at this list of personalised services provided by SO Sofitel where design meets pleasure. 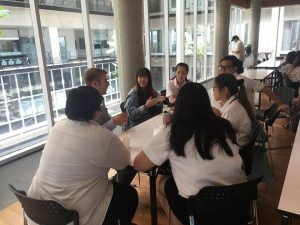 Students who had worked part-time or interned in an F&B outlet before may have encountered superiors that told them to throw excess food away at the end of the day. The reason why surplus food is generally not donated is probably because of the threat of liability for food-related illnesses. But did you know that there are laws that protect food donors? An example is the Bill Emerson Good Samaritan Food Donation Act where the law provides a national standard of liability protection for both food donors and the nonprofits accepting these donations. Despite such protections, businesses may still be hesitant to participate in food donation due to the extra cost incurred by providing the logistics to transport excess food. This is why it is important to co-innovate and collaborate with partners who can fill in the gap. 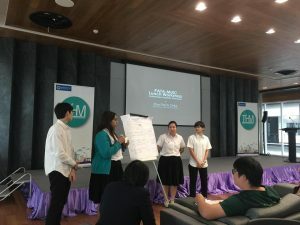 Organisations can reach out to food banks or food angels such as Thai-SOS, which provide their services free of charge. Read case studies and learn how sustainability champions in the hospitality sector do it. We love listening to stories that have changed people’s lives, especially those of industry professionals. One of the guest speakers, Mr. Chris Regel is an expert in sustainability consultancy because, during his days working in the kitchen, he saw the massive amount of waste generated in the kitchen and buffets. 1/3 of food produced in the world is wasted! From this experience, he committed to ending food waste in the world and is now the Business Development Manager for Winnow Solutions. The moral of the story is that, in whatever we do, it is important to be present and conscious of our actions and of our surroundings. Reevaluate our daily tasks. Is there a way to do it more efficiently? Are the products that you’re using energy efficient? Be curious at all times and one day, you will have an inspirational story to tell too. Click here to see the full profiles of the guest speakers. While you are at it, follow PATA Youth on Facebook and get in touch with our YTP Ambassador at JCWong@pata.org. Your university may be next to benefit from an insightful workshop. If you have any questions about our sustainability initiatives, please contact our Sustainability & Social Responsibility Specialist at Chi@pata.org or send an e-mail to SSR@pata.org.